In stock 249 items in stock. How much load can the ring handle? I'm looking to build a hanging, rotating light fixture. 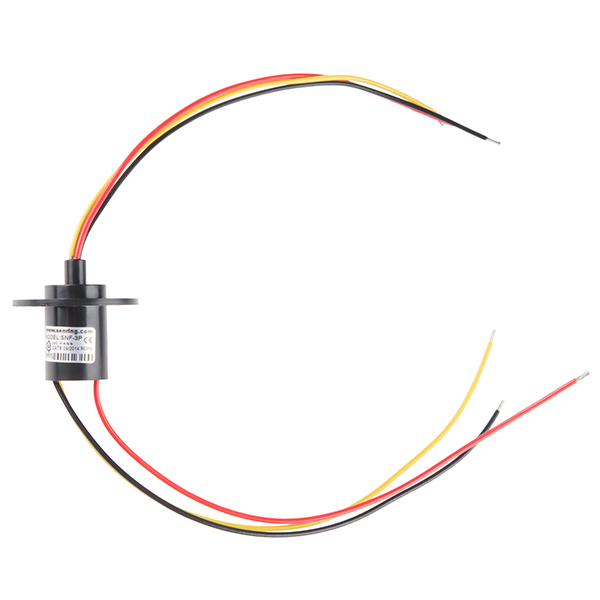 Can anyone point me to a tutorial that shows how to connect one of these slip rings with a servo motor to spin a platter containing some electronics? 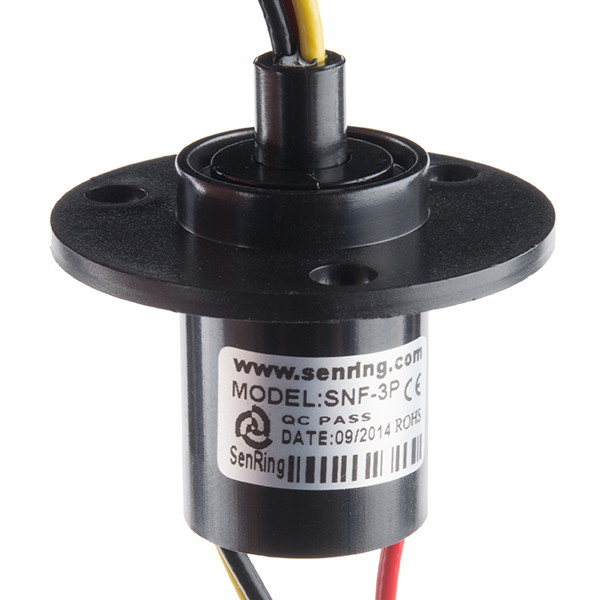 I'm not seeing how to connect the servo to the slip ring and how to firmly connect a spinning platter to the stub of the slip ring? Thanks!! What sort of noise can be expected as the device rotates - could you run an i2c connection over this and expect clean communication? 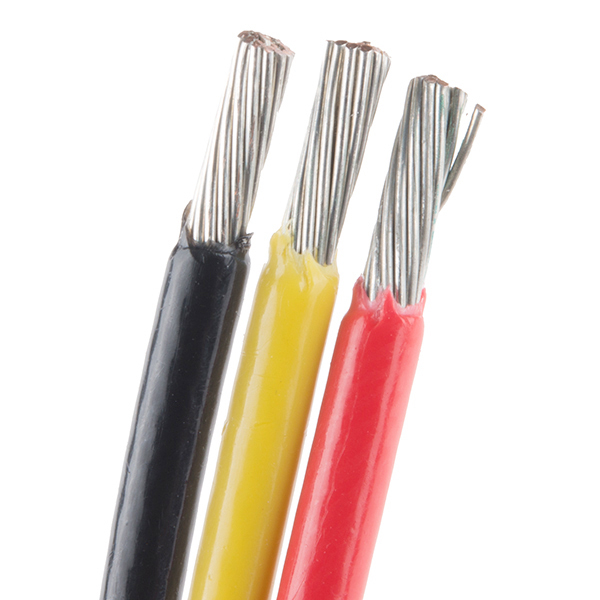 The 6-wire and 12-wire units say they are good for use with digital protocols like Ethernet, CAN, etc. Love the 15A rating, but would like to have two data lines...for RS-485 or other two-wire busses. Some slip rings are made with mixed gauge wires, ie. two 2A lines for data, and two 15A lines for power. Pretty please?! I appreciate that, but would rather group it all together and reduce the overall cost...that's the beauty of slip rings to transmit power and communications through a joint. The 6-wire and 12-wire units are rated for 2A per ring, so you could send power over multiple wire pairs. Also, the 6-wire and 12-wire units say they are good for use with digital protocols like Ethernet, CAN, etc. Smooth and heavy gage wire. Easy to mount and effectively decouples power to a rotating member on a droid. Fast delivery from Sparkfun too. Easy to work with design and operation. Inexpensive compared to other alternatives. Bottom line - nice product.